Facultatieve Technologies (FT) has been building up an impressive pool of technical expertise, experience and international know-how since 1908. We have fitted more systems across the globe than any other manufacturer, with our brands including Dowson & Mason, Stellus, TABO INEX, Evans Universal, Evans Tabo Universal, FDI and ISI. In 2004, leading US company Incinerator Specialist Inc. (founded in 1937) became a part of FT. Since then, FT The Americas has a modern production unit in Medina (Ohio), south of Cleveland. In 2003, FT took over the operations of FDI Cremation and FDI Fumisterie in France. FDI (Fours Delot International) was established in 1908 and is a well-known name in the field of cremators, incinerators and their brickwork. Evans Universal was established in 1959 as a specialist in the field of design and construction of incineration equipment. Furnaces were supplied all over the world, from the parent company in Leeds in the UK. 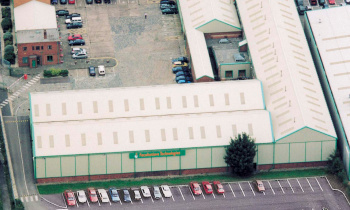 Evans Universal took over the DM TABO Ltd company (formerly Dowson & Mason) in 1987, and thus gained an important position as producer of cremators. 1979 saw the bankruptcy of Ugnsbolaget TABO Incinerator AB from Sweden. A number of branches of the bankrupt company continued to supply the market, but then independently under the leadership of TABO France. In 1993, these companies were acquired by ‘the Facultatieve Group’, which has been constructing cremators since the nineties, and which incorporated INEX Milieutechniek, to form TABO INEX. After ‘the Facultatieve Group’ took over Evans Universal at the end of 1998, the year 1999 was dominated by the integration of both sets of experience and know-how in the field of furnace construction and flue gas treatment (filter systems), under a combined name which everyone would recognise – Evans Tabo Universal. And once Research & Development, drawing departments, production facilities and Customer Care had been successfully merged, the company name FT (Facultatieve Technologies) was introduced in 2000 to create a clear link to parent company ‘the Facultatieve Group’.